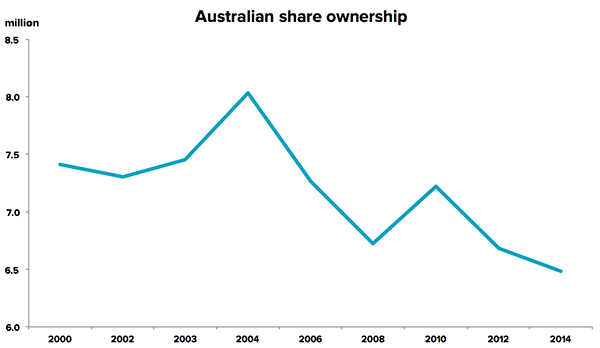 The latest investor study by the Australian Securities Exchange (ASX) has found that share ownership has plummeted over the past decade as Australians have instead opted for property and bank deposits as savings vehicles. The number of people who own shares has fallen from 8.0 million in 2004 to 6.5 million in 2014, a 20% drop over 10 years. However, despite the fall in popularity, shares remain the best-performing investment over the long-term and 2.5 million Australians would invest in shares if they knew how. Why aren’t more people investing? The exodus from Australian shares has been fuelled by frustrated investors leavings products like managed funds that have performed poorly. Our Fat Cat Funds Report looked at this phenomenon – finding 78% of Australian managed share funds underperformed their benchmark over 5 years, and the latest SPIVA Study1 demonstrated similar results. We predict that the trend of poor performance for actively managed share funds will continue until management fees fall significantly and there are less active fund managers competing to pick stocks. This is still many years away in Australia. As a reaction to poor performance by professional active fund managers, direct share ownership has risen dramatically since 2004. An increasing number of DIY investors now access direct shares and ETFs. Our 2015 ETF Report showed that ETF assets grew 66% over the last year to $17.8 billion. 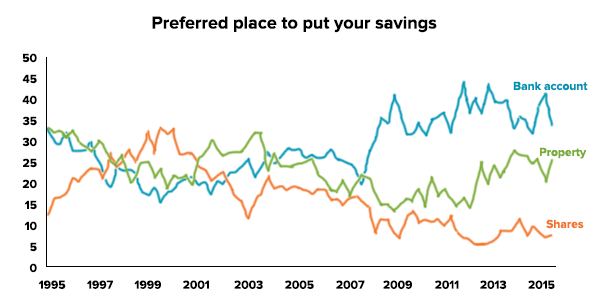 Overall, share investing is less popular than it has been since the early 1990s, with property and term deposits soaking up most investment dollars. However with interest rates on deposits falling to 50-year lows and property prices at lofty-high levels, those investment options may be approaching the end of their period of popularity. 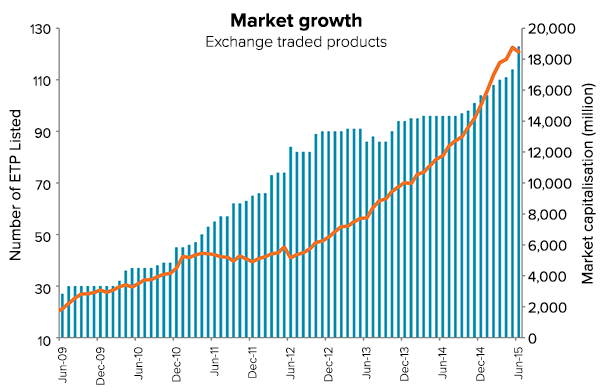 As investor Bernard Baruch famously stated after the crash of 1929 – “Buy your straw hats in winter” – and Australian shares have certainly been in a deep winter hibernation. Notwithstanding low popularity and the impact of the GFC, shares have still been one of best performing investment assets over the past 10 years. 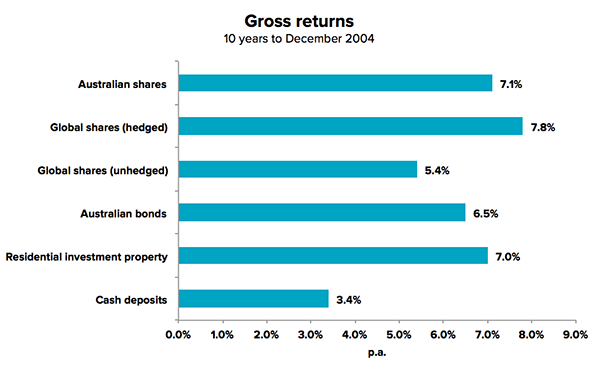 Australian shares have returned 7.1% per year over 10 years, outpacing both Australian property and deposits over that time. It is clear that the legacy of high fees and account minimums, as well as the numerous financial planning scandals have caused a great level of public distrust in professional investment advice. Consumers have realised traditional channels for accessing investment advice are expensive, conflicted, and in many cases do not add more value than they cost. This goes a long way in explaining why more people are investing via digital channels, with 58% of all investments made online, compared to 31% using a traditional broker or adviser. To solve some of the problems with traditional investment advice, we have focused on building a service that is completely online, automated, easy to use and unbiased. At the same time we’ve removed many of the traditional barriers to investing like high required investment balances (our minimum is just $2,000) and the need to constantly watch markets (we automatically rebalance portfolios and re-invest dividends). 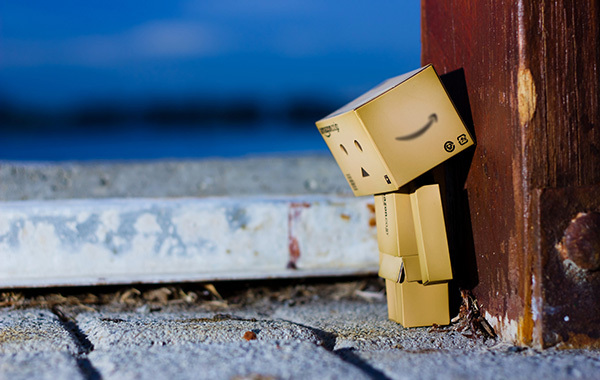 The internet has become the most important source for investment information and tools for investors. Online services are radically shifting benefits from the financial industry back into the hands of consumers, which is a long overdue and powerful step in the right direction. We are certain that digital channels will play the dominant role in helping many of the 2.52 million confused Australians invest in the share market in an accessible and affordable way.